Mark Bittman, food columnist for The New York Times, has joined the Greek chorus of foodies for a better planet. 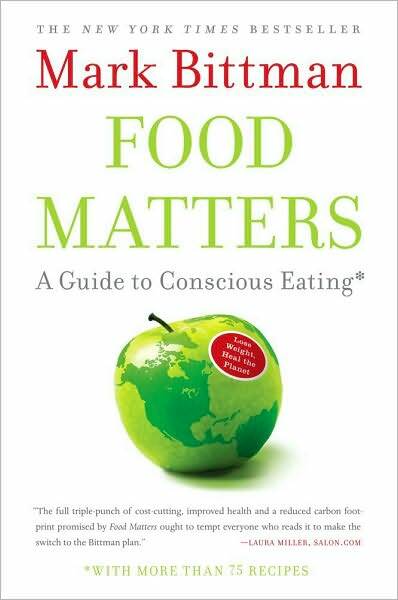 Openly acknowledging that he is building on the investigative work of Michael Pollan (“The Omnivore’s Dilemma”) and others, Bittman has taken up the mantra of: eat more plants, fewer animals, and less in general. Although Bittman’s new book, Food Matters, largely repeats well-documented food research, he does bring something new to the table: recipes and a four-week meal plan. Read the full review here and a post about meeting Mark Bittman here.